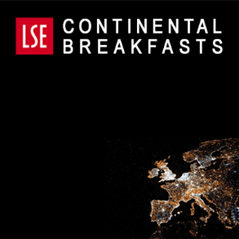 In the second LSE Continental Breakfast, the participants discussed the challenges facing the government as it tries to bring down immigration post-Brexit. Zoe Gardner reports. Reform freedom of movement – or abandon it? Two possible scenarios for the future direction of migration policymaking emerged from the discussion. In the first, any iteration of EU freedom of movement, leaving EU and EEA nationals subject to the existing points-based immigration regime as currently applied to third country nationals. The second imagines that the UK maintain some elements of freedom of movement, or other preferential migration regime for EEA nationals, as part of a reciprocal deal negotiated alongside trade and other questions over the next two years. These two quite different possibilities are reflected in much of the work that has sought to examine the question of what a post-Brexit immigration system might look like (Vargas-Silva 2016, Portes 2016). It is, of course, impossible to know which of these two possible scenarios, or any alternative, is correct as there has been no move on the government’s behalf to communicate a plan: the government has yet to instruct its Migration Advisory Committee to undertake any research on the question. In either case, one factor that cannot be ignored is that of ‘low skilled’, ‘unskilled’ (or, one might say, ‘low paid’) immigration. Since 2007 the UK has not had an immigration route for ‘unskilled’ workers, as it is understood that the demand will be filled by EU and EEA nationals. With an end to freedom of movement, at least for low earners, a new route to bring in those ‘unskilled’ migrants will be necessary. Many assume that some form of guest-worker scheme will be developed to bring in labour, but not offer any long-term settlement rights, family reunion options, or integration opportunities. Guest-worker schemes are often linked to exploitation of the migrant groups subject to them (Lea, 2016), creating a two-tier workforce, where employers find it easier to undercut wages and conditions. One participant noted that it is the pace and churn of change that most British people say they dislike when questioned about their anti-immigration views. Many are in fact more amenable to long-term immigration, with no animosity towards long-established and well-integrated migrant families. If freedom of movement is to be applied selectively to differentiated groups, it doesn’t necessarily have to be in a way that benefits only the rich, and disadvantages the poor. One proposal is that youth mobility should be retained, potentially formulated along the lines of mobility schemes that exist between the UK and some Commonwealth countries (Bronk (2016). The one stated goal of the government regarding migration is to reduce net immigration. Beyond this, the debate has so far suffered from a lack of clarity about fundamental policy objectives. The government’s pledge to reduce net immigration to the tens of thousands was discussed, but there was general agreement that this was not a sufficiently realistic or coherent objective. Indeed, it was argued that the target is now being played down by the Prime Minister and Home Office – despite many arguing that the target is unfeasible and damaging, it is seen as a commitment that cannot at this stage be abandoned due to political considerations. Reducing the rate of immigration to such a degree would require a significantly more restrictive regime and also imply a considerable amount of economic damage for the country, not least due to the administrative and enforcement costs of the increase in bureaucracy. Goodwin (2016) has forecast, for example, that a reduction in immigration of 60,000 per year (not enough to achieve the tens of thousands target) would negatively impact GDP. Portes (2016) has pointed out the incompatibility of the political imperative to reduce immigration, and the implementation of an efficient migration policy. He argues that the reduced skilled and unskilled workforce, increased regulatory burdens on business and likely increase in undocumented working would have to be addressed alongside any move towards a more restrictive system. While many participants did raise the issue of the UK economy’s dependence on migrant labour, others insisted businesses had failed to train UK citizens to fill vacancies because a skilled foreign-born workforce is available. 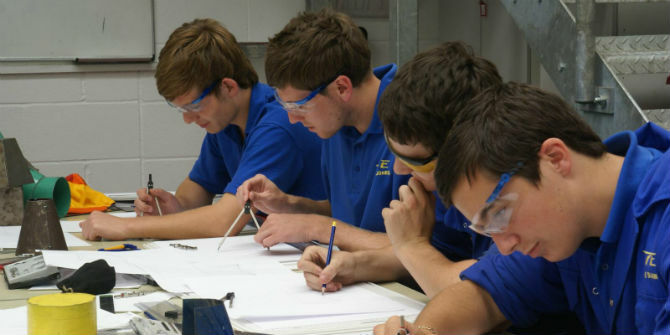 While businesses were criticised for failing to provide sufficient apprenticeships, the government’s apprenticeship scheme itself was said to be inflexible and not fit for purpose. It was argued that in order to move towards a business atmosphere where British workers possess the skills required, rather than relying on migrants’, there needs to be more forward planning. Time and investment are required to develop skills in the native population. In the meantime, closing off routes to employ foreigners could be devastating to some industries. As Harper (2016) points out, the UK has an ageing population, and immigrants, who are relatively younger and more fertile than Britons, are necessary to address the declining size of the labour force and thus the support ratio. Brunt-Seymour (2016) and Armstrong & Ven (2016) have also both addressed the risk that a post-Brexit reduction in immigration is likely to hit state pensions. The discussion largely took it for granted that immigration had to be reduced; the debate was about whether or how this might be achieved without significant damage to the economy. Another concern, however, is the question of achieving a public consensus around immigration policy. There is significant evidence that the public’s hostility towards immigration, at least on economic grounds, is based on falsehoods. People tend to vastly overestimate the proportion of foreign-born people in the population (Legrain 2016 (b)), and widely-believed myths about immigrants being a strain on public services or driving down the wages of local workers have been repeatedly disproven by academic studies (Dhingra et. al. 2016). It should, therefore, at least be debated whether we need to address the public perception of migration and the competence of government to control it, rather than the (overwhelmingly beneficial) phenomenon itself. Another area where the public largely does not grasp the reality of migration is in enforcement. Participants agreed that while people imagine immigration enforcement to be concentrated at borders and ports of entry, it is in fact on our streets and within our communities and workplaces that the vast majority occurs. The high cost (both in monetary terms and in terms of social cohesion) of a large increase in raids, immigration detention and removal that this implies was not addressed at any length. There was a call for research to examine what gives people confidence that enforcement is working. Most people experience immigration control at airports and railway stations when they travel into the country, so would a stricter regime of passport controls and checks at these entry points make people happier about the UK’s border security? One stark example of the British public’s failure to understand migration policy can be seen in the calls for the UK to introduce an ‘Australian-style’ points-based system. The UK already has in place a complex points-based immigration system, which was introduced in response to public and media concerns to ensure that migration would be controlled to ensure it brings economic benefit (Brau, 2011). Perspectives were shared from experts from other countries, including Switzerland and Norway, both of which are non-EU member states with reciprocal open migration agreements with the EU. These examples were not considered blueprints for the UK, but they did highlight some important considerations around the idea of consensus-based migration policies. It was noted that in both these countries, as well as in Australia, to varying extents, there is support for existing immigration strategies. This has largely been achieved through government maintaining a level of control over the narrative on immigration, where migrants themselves are viewed as providing a service, rather than taking a slice of the pie. The anticipation and management of issues such as integration and the possibility of wage suppression brought about by immigration was also important. In the UK, where wages have stagnated, this has contributed to resentment. The discussion noted that some EU countries are beginning to anticipate a shift in public attitudes towards freedom of movement, and are seeking to address these in advance through welfare reforms, for example around eligibility for child benefit being limited to people with children living with them in the country. This was considered valuable despite the fact that it has been shown that the liberal welfare state does not represent a ‘pull-factor’ for labour immigrants (Schulzek, 2012) and that proportionately immigrants are far less likely to claim any benefits than locals. Reforms such as these come too late to rehabilitate the image of freedom of movement itself within the UK public debate, but they can yet serve as examples. The government’s ‘Controlling Immigration Fund’, for example, has been inefficiently rolled out, with local authorities unaware of how it can be spent to improve local access to services. Similarly, there has been little tangible public engagement around migration policymaking, resulting in a sense of being ignored. A system of democratic accountability on immigration, an equivalent to the budget, presented at regular intervals to openly debate ideas was suggested, among other ideas that could normalise open debate and accountability on migration policy (Katwala, et. al. 2014). Since it is understood that freedom of movement will not continue post-Brexit, many were of the opinion that both it and membership of the Single Market will be entirely off the table during negotiations. Others thought that in order to secure favourable trade access, opportunities for migration for British citizens to Europe, and other desired outcomes from the EU, some form of preferential migration policy towards Europeans may still be on the table. This led to a wider debate around whether migration policy could, should or will be more actively linked to trade negotiations. India has actively called for more migration opportunities for its own nationals in exchange for trade cooperation. There was some disagreement about whether this would become a new feature, with bilateral agreements integrated into shaping migration policy, or whether it would constitute a red line, blocking future trade negotiations. Looking at the available evidence from other areas, however, it seems more likely than not that migration cooperation agreements will form part of the UK’s future accords with foreign countries as, within the EU, this has been an essential element of all foreign policy discussions for some years (Lavenex, 2006). Refugees and asylum seekers cannot be contained within the tens of thousands target, even if it does stand. The legal framework governing our response to refugees is international, and not bound by the EU, so there is no question that Brexit will mean an abandonment of those responsibilities. However, most of our UK asylum legislation stems from EU directives and regulations, which will need to be reformulated alongside the rest of the system. What this will mean in practical terms is complex and has not thus far been a public priority in the government’s agenda-setting for Brexit. However, it is certainly desirable for the government that some reciprocal deals with European neighbours will be maintained, with the Dublin Regulation a particular case in point. The Le Touquet agreement with the French is sure to become a salient question. If the UK expects to continue to manage asylum seeker arrivals through Le Touquet and Dublin channels, there will need to be a clear offer of reciprocity and something in it for the rest of Europe. Any attempt to reduce the UK’s responsibilities in terms of asylum numbers by reducing standards below those legally required in EU countries is unlikely to be effective. Studies have shown that such policies are just one, not particularly important factor motivating the decisions of refugees to make claims in one or another country (Thielemann, 2011). Furthermore, refugees, just like other migrant groups, are economically productive, and bring innovation and cultural development (Legrain, 2016). The need to ‘opt-in’, therefore, at least to some EU-wide asylum policies, without, obviously, the chance to participate in discussions around their formulation and re-formulation will, paradoxically, leave the UK less ‘sovereign’ or ‘in control’ of its forced migration policies than it is now, where it has secured an optional ‘opt-out’ of Home Affairs policies, while still in fact being able to influence their direction (Costello, 2016). Some suggest the whole idea of ‘controlling immigration’ may be illusory. For example, Czaika and de Haas (2016) have found that while one may be able to affect the numbers of immigrants entering the country by restricting visa regimes, the overall number of immigrants does not fall because they are also less likely to leave. This reduces the responsiveness of migration patterns to market fluctuations, or, put simply, increases the likelihood that a migrant will stay put in a country despite not having a job, or despite their visa having expired. This leads, inevitably, to an increase in undocumented and exploitative working. While it is questionable whether an overall reduction in immigration numbers is achievable, especially to the degree the government claims to be pursuing, some groups of immigrants will certainly see their options reduced, alongside, in all likelihood, their protections from undocumented and/or exploitative working conditions. Meanwhile, for certain other groups, notably the highly qualified and highly paid, travel will remain easy. This trend towards increased differentiation between different migrant groups with different rights and opportunities, rather than outright more restrictive policies for all, is ongoing, and of course represents the increasing complexity of national immigration systems (Beine, et. al. 2015, de Haas, et. al. 2016). A full bibliography can be found in the longer version of the report on this Breakfast. 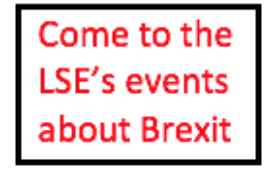 This post represents a report on a discussion, and not the views of the Brexit blog, nor the LSE. Zoe Gardner is a research student at the European Institute, LSE.